Join us at industry networking events, interactive sessions, and thought leadership engagements. FactSet is an active participant in the financial community and present at a variety of conferences and symposiums throughout the year. This page provides a look at the upcoming events FactSet is coordinating or attending. Keep an eye out for details regarding networking opportunities, interactive sessions, thought leadership engagements, and more. Join your peers from across EMEA this June in Barcelona for our signature conference. Packed with thought-leading sessions, hear from industry experts and FactSet specialists on topics around portfolio strategy, performance and risk management, quantitative analysis, client reporting, and more. FactSet is excited to be both a sponsor of the Buy-Side Risk USA conference, and attend with our own presentation. Stop by our booth to find out more about this as well as our award-winning risk management solutions. Find out more and register today. Join us for a 30-minute live webcast to understand how FactSet’s API can create new efficiencies for your firm. During this presentation, we will discuss the API's capabilities and showcase examples of how clients are incorporating it in their workflow. We will also review the forward-looking roadmap for the API program. FactSet is proud to support the ESG Asset Owners Summit, where the the top influencers, experienced investors, academics, and researchers will discuss environmental, social and governance investing trends. Gain an insight into how your buy side peers are leveraging innovative data and tech driven approaches to thrive in the post-MiFID II shifting liquidity landscape. Hear from FactSet's John Adam on a panel discussing how to leverage AI and automation to achieve scalability in trade performance. Join us at ANBIMA, the biggest event in the Brazilian investment fund industry, to hear about the key topics impacting local markets. Visit our exhibit to learn more about FactSet's solutions for research, portfolio management, risk, performance, and more. FactSet is excited to be sponsoring the Raymond James Financial Services ELEVATE conference! Stop by our booth and meet the FactSet team to see how our award-winning solutions can help you make better decisions in a complex market. FactSet is proud to sponsor TSAM Toronto as one of the key summits for the asset management industry. Stop by our booth to see how our award-winning solutions can help you make better decisions in a complex market. Join other business executives, solution providers, and opinion leaders from the financial services industry at a conference and exhibition that combines thought-provoking conferences with product reviews tailored to the financial industry. Visit our booth to see how FactSet Data Exploration on Microsoft Azure gives you instant access to alternative and financial datasets, plus the tools to build investment applications, in a fully hosted environment. The annual conference will feature keynotes with noted economists, best-selling authors, leading researchers and successful practitioners, as well as dedicated educational tracks on FinTech, Sustainable Investing, Private Wealth Management, Investing in Emerging Markets and Career Management. Meet our on-site team to discover what products and services FactSet can offer in this rapidly changing world. As a winner of the Dietz Award for our article contribution to The Journal of Performance Attribution, we are proud to be guest speakers at the PMAR North America 2019 conference. Be sure to attend our session on the role of trading in performance attribution. The SIAT QuanTech conference is an event dedicated to financial professionals, bringing together industry experts and practitioners. Covering topics such as technological innovation applied to financial markets (AI) and product innovation (ETF smart and factor investing) this is a can't miss event for FactSet and we look forward meeting you there. Visit our booth to learn how FactSet can power your investment decisions with best-of-breed content, industry-leading support, and flexible data delivery options. Join Lauren Stevens, Senior Director of Open:FactSet Strategy, as she moderates a panel discussion, How Can Collaboration with Fintech Companies Drive Innovation and Accelerate Change, at 2:25 pm in Stream 2. Visit us at Battle of the Quants. Learn how FactSet's integrated tools and content can take you from idea to construction and beyond, and help uncover business relationships, performance & market indicators, sources of risk, and investment opportunities. Join us at the Asian Investment Summit, where asset managers from across the globe will learn how flexible, open technology and data provide the answer to the challenges of turbulence and a fast-changing industry for investment managers. Visit our booth to learn how we can empower you and your workflow across the portfolio lifecycle. Join FactSet at FinJS London, a capital markets network that showcases innovations driven by web technologies, to hear how we're partnering with our clients and third-parties to be a primary source of content, analytics, technology, and services in the cloud. The ATF brings together senior buy-side executives from leading investment organisations in the UK. The roundtable sessions focus on current challenges, best practices, management and business issues surrounding trading professionals. As a sponsor of this prestigious event, our specialists will give insight into market trends and discuss and resolve issues pertinent to equity trading and equity market structure. FactSet is excited to sponsor the 2019 PLANSPONSOR National Conference on June 5th - 7th. Visit our booth to learn how we can help you identify and investigate new investments, create optimal portfolios and simulate potential portfolio values, and evaluate the impact of proposed adjustments on your plan’s asset allocation, direct investments, and investments in external managers. Insurance Asset Risks sixth annual conference takes place in London this June. The conference attracts representatives of insurance companies and their asset managers from all over Europe to discuss challenges such as low returns, volatility, geopolitical risks, regulation and increased competition. The event also aims to explore investment trends such as ESG, where we are proud to be presenting a session around the opportunities this strategy offers and how to best implement ESG tactics in your existing workflows. Meeting of Minds Wealth Management and Private Banking forum offers an opportunity to work through the key challenges facing both your business and the industry. The agenda encompasses investment trends and the geopolitical climate impacting them as well as the day to day issues faced by those running these businesses. Join us at the Fixed Income Leaders USA Summit 2019, where the greatest minds in fixed income will learn how to capitalize on technology disruption and rise above the current market to gain a competitive edge. FactSet is excited to sponsor BattleFin's Discovery Day New York 2019. Visit our booth to learn how FactSet can help you find untapped alpha with unique datasets backed by best-in-class symbology and data concordance. FactSet is excited to announce that registration is now open for our signature event, the FactSet Investment Process Symposium, taking place 25-27 June 2019 in Barcelona. Attendees can look forward to an agenda packed with insightful sessions and inspirational talks from industry influencers and FactSet technology experts. FactSet is excited to be sponsoring In|Vest! The Industry’s Largest WealthTech Showcase will cover a range of topics such as the strategic expansion from industry’s largest players, how advisors are (or aren’t) embracing Charles Schwab’s digital advice platform and what TD Ameritrade is doing to attract millennials. Stop by our booth and hear from the FactSet team about our award-winning solutions. 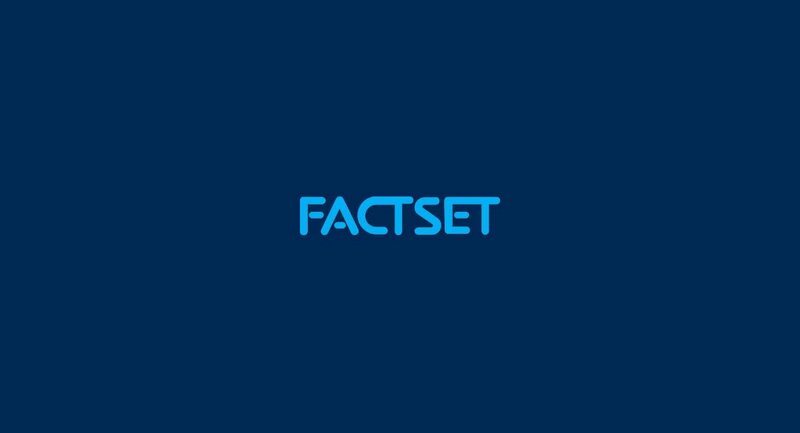 FactSet is excited to bring our thought-provoking roundtable series to Scandinavia. Join us this April in Copenhagen for our first event for quants and financial data scientists. Meet FactSet at AmTech Day 2019 to keep up with technological innovations such as robo advisers, AI, and behavioral data analysis that can help you optimize your investment strategies. Get the insight you need to meet regulatory constraints and rethink your customer experience by capitalizing on award-winning technologies. Visit our booth to learn how FactSet’s open and flexible solutions already help thousands of other asset managers drive productivity and performance. Visit our booth at the World Financial Information Conference to learn how FactSet can power your investment decisions with best-of-breed content, industry-leading support, and flexible data delivery options.